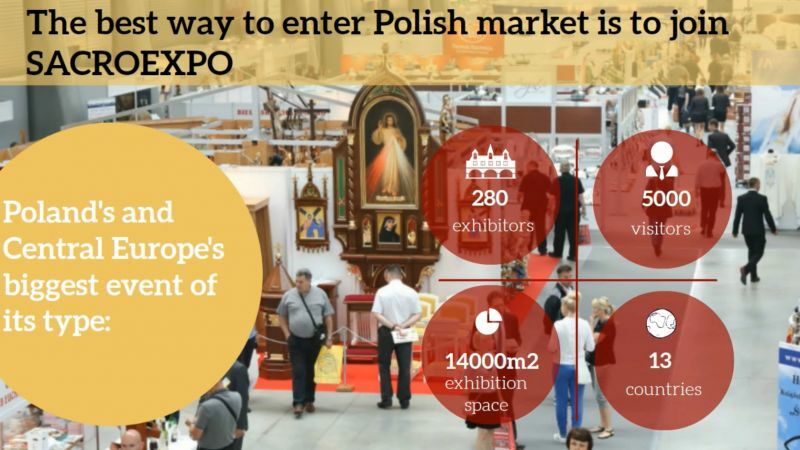 More than 5,000 guests were hosted at the 19th International Exhibition of Church Construction, Church Fittings and Furnishings and Religious Art SACROEXPO 287 companies which represent 11 countries used the expo as the showcase for their offer. The expo was complemented with numerous meetings, debates and conferences. The exhibition offered its guests the opportunity to become familiar with the offer of companies which represent: Poland, the United States, Slovenia, Ukraine, Hungary, Italy, Spain, Russia, Germany, Macedonia and Portugal. Not only was SACROEXPO a showcase for church-targeted products and services. Targi Kielce's expos is one-stop-shop presentation of the latest trends in sacral art, devotional items and accessories as well as church fitments, new technologies for sacral construction and properties and heritage conservation. 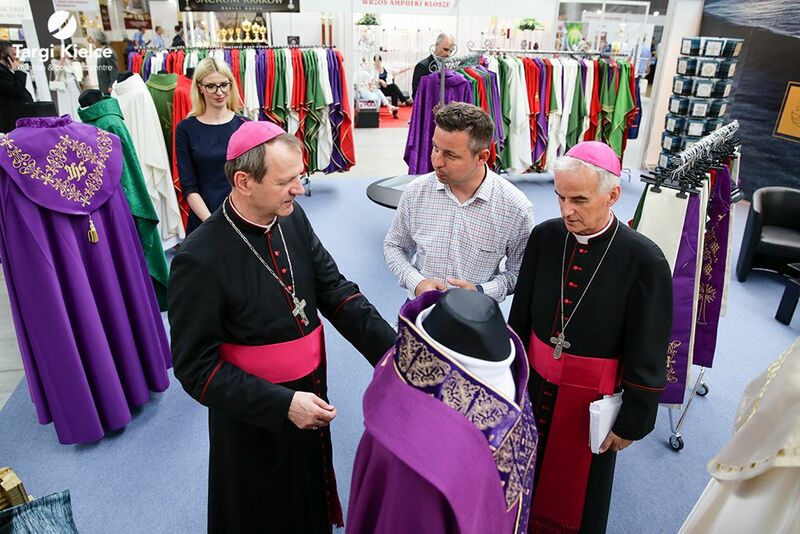 The expo visitors saw the abundance of liturgical vestments and vessels as well as a full range of religious publications. There were also paintings and icons. Rosaries made of pearls and malachite may look less spectacular yet they are close to our hearts. New technologies aficionados were offered audio-books and e-books as well as the chance to become acquainted with the DROGOWSKAZ application - this is an easy and swift way to find the nearest church, check mass hours and confession times. The most interesting solutions earned awards, honours and expo medals. The medals are presented in recognition of artistic creation and promotion of the art associated with spiritual life. Who will be this year’s laureates?